Measurement – Measurement includes gauging your performance and optimizing your efforts. 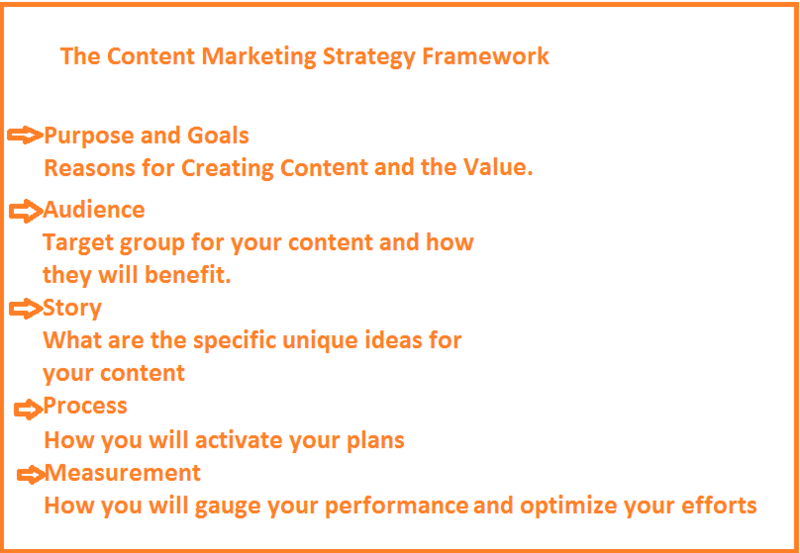 With the Content Marketing Strategy framework, marketers are able to work out Content Marketing Strategy Statement that is aimed at a cohesive approach for Content Marketing efforts. 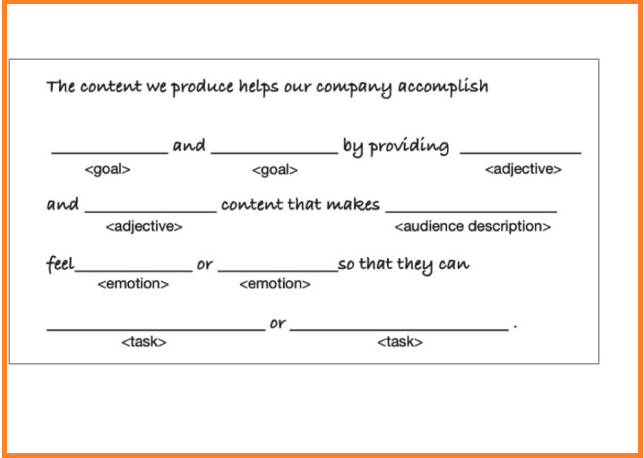 Here is an easy template to help you work out your Content Marketing strategy statement. 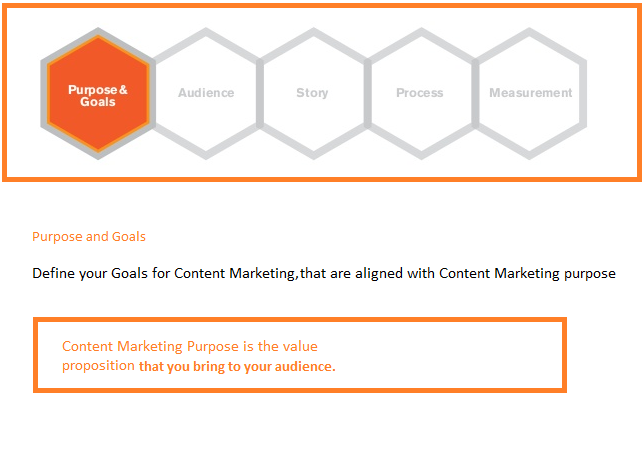 Use the Content Marketing Strategy statement to choose topics and add the same to your editorial checklist. Define who your audience are and whom you are targeting with your content to turn them into subscribers. Some of the questions that you need to answer to get a clear picture pertain to understanding the needs, behaviors, current user state and any other defining characteristics. 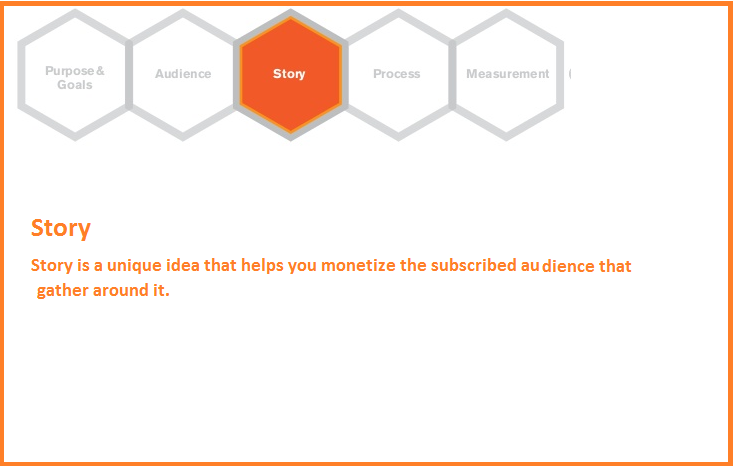 The story is a unique idea that lets you monetize audiences that gather around it. The story focuses on Why it happened. A story is a selling tool that is intended to deliver business value. With a story you can deliver unique business value by building customer relationships. With an effective story, brands can build thriving customer communities. At the heart of the story, is Value Creation and purpose. It does not necessarily have a beginning or an end. 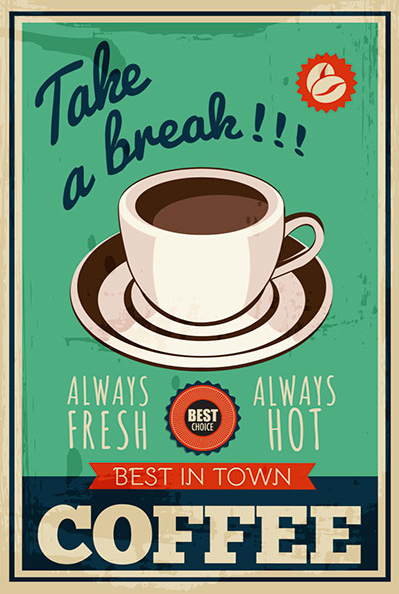 The story is a way to build a rapport and earn Trust of customers to turn them into loyal fans and supporters. The Process is an operational plan that will enable your business to meet the Content Marketing requirement. The operational plan lays down the steps involved in publishing content and the order in which they should be executed. The process is a step-by-step plan that spells out the owner of each task for the team involved. The Process also covers modus operandi for producing different content format and the best practices that should be followed. The Process also lists stakeholders (Creators/ Contributors and Distributors). The level of support, resources required and timelines form the Process for Content Marketing. It includes Site Navigation, standard routing process and work-flow, required Team and Skill set, Editorial Style and communication guidelines, Channel Plan and required tools and systems for optimal production and creativity. Measurement comprises of Key Performance Indicators and Metrics that help you ascertain your achievement of goals within a timeline. Determine the goals that are required to be achieved to eventually deliver on Key Performance indicators. E.g. 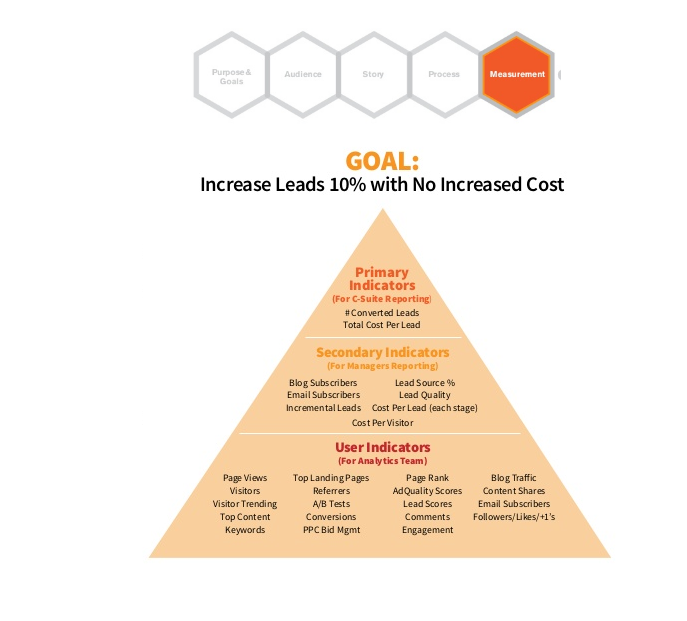 if you are required to get to a rich audience database prior to generating qualified leads, you need to measure your performance for the goal of a rich audience database.